We are at the forefront of modern convenience in dentistry. How Do We Create a Crown in Just One Visit? 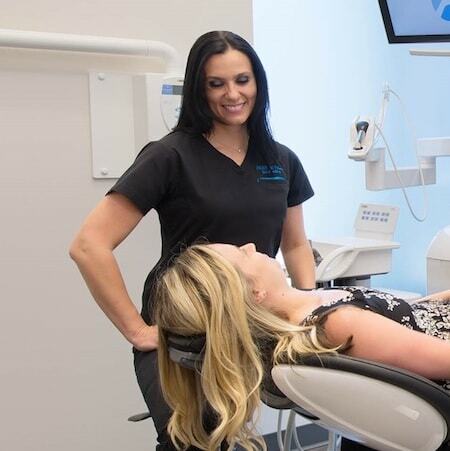 First, your CEREC® dentist examines your tooth and identifies the appropriate treatment. If the best course is a crown, she will prepare the tooth for restoration. Next, Dr. Kollia and Dr. Fu will use a 3D color camera to capture a digital image. This is projected onto the computer so your dentist can start the design. Using the CAM/CAD software, your Seattle dentist designs the restoration. Once complete, the data is sent to the milling machine and your custom-made crown is crafted in 10-15 minutes. Finally, the new crown is placed in your mouth to ensure a comfortable fit and bite. The crown is then glazed and bonded into place, leaving you with a beautiful, functional smile. Our specially trained dentists design, create, and place your metal-free restoration in one visit. 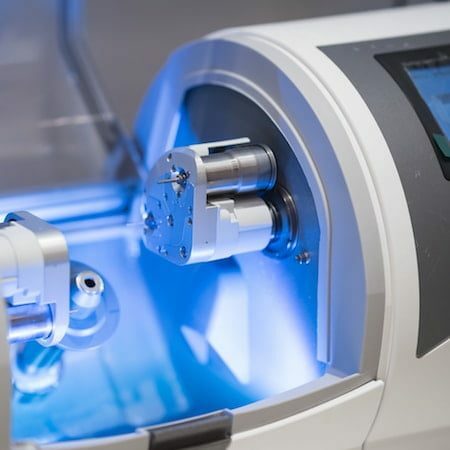 Rather than using manual, messy bite trays, CEREC® Same-Day Dentistry utilizes 3D technology and software to take an image of your tooth in just one or two minutes. Our single-visit CEREC® treatment makes temporary crowns a distant memory. No more discomfort or long wait times! Each crown is crafted in one visit so you don’t have to return to our office for another appointment. With CEREC® there is no compromise on quality. Each crown is made of porcelain and carefully created to match your natural smile. The ultimate in efficient and reliable dentistry. What does CEREC® stand for? Why might I need a CEREC® Crown? How durable are CEREC® Crowns? With a solid hygiene routine and proper care, your new crown is more durable than traditional crowns and can last for years. How long will my CEREC® appointment last? The majority of CEREC® treatments will only take about two hours, possibly longer if multiple restorations are needed. CEREC® Crowns vs Traditional Crowns – What’s the Difference? Traditional Crowns: There are times when your experienced dentist may recommend traditional crowns, however, these crowns take longer, require multiple appointments, and use temporaries. This is because traditional crowns demand manual impressions and must be fabricated at a dental lab. CEREC® Crowns: Modern technology gives our dentists the equipment and software needed to place a crown in a single visit. There are no impressions or temporaries. Instead, we take images of your tooth using an innovative 3D camera and design the crown digitally in-house. The crown is then created using a milling machine and placed into your mouth. Learn more about how CEREC® Same-Day Crowns can save you time in our blog! Created by first-choice for CEREC® in Seattle - Aesthetica Contemporary Dentistry.